For the month of April, we’re offering Rhino Lining services starting at $499. 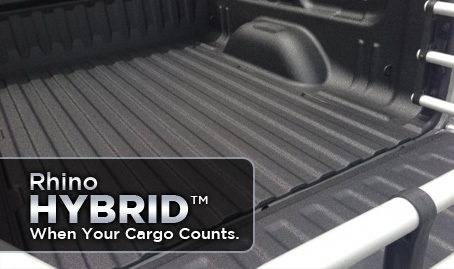 Rhino™ HardLine® is the world’s #1 sprayed-on bed liner made better! Rhino has improved toughness and color stability while retaining the non-skid grip that made Rhino Linings products legendary. HardLine can be applied to trucks, Jeeps®, trailers, boats, flooring, buildings, military vehicles and equipment and much more. Rhino Linings® provides a permanent protective surface for trailers, vans, Jeeps, boats and virtually any high-wear area. If you are like most people you use your truck to haul things. You want protection from scratches and chemicals as well as protection from the weather and the rust it will cause. Once the bed rusts out, the trucks’ value is greatly diminished. Doesn’t it make sense to spend a little money now to protect your vehicle and add value to your truck? Rhino Linings® bond directly to the metal of the bed to form a permanent watertight/airtight protection against rust and corrosion. The rust never has a chance to form, which makes Rhino Lining a superior choice over a drop-in plastic bed liner. Our Rhino Lining is a non-skid, rubbery, durable coating that won’t rust, lift, crack or peel. Experience the difference a Rhino Liner will bring to your truck and add value as well as protection for years to come. Rhino Linings are also environmentally friendly, solvent free so it resists petroleum products, fertilizer, and most chemicals and won’t warp or crack, even under the most rugged conditions. 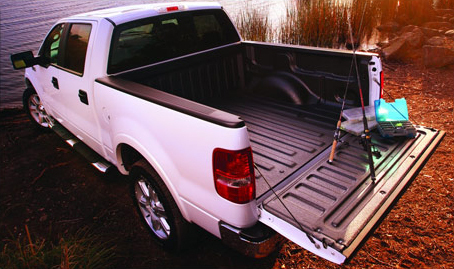 Complete your truck bed protection by adding undercoating to the underside of your truck bed.